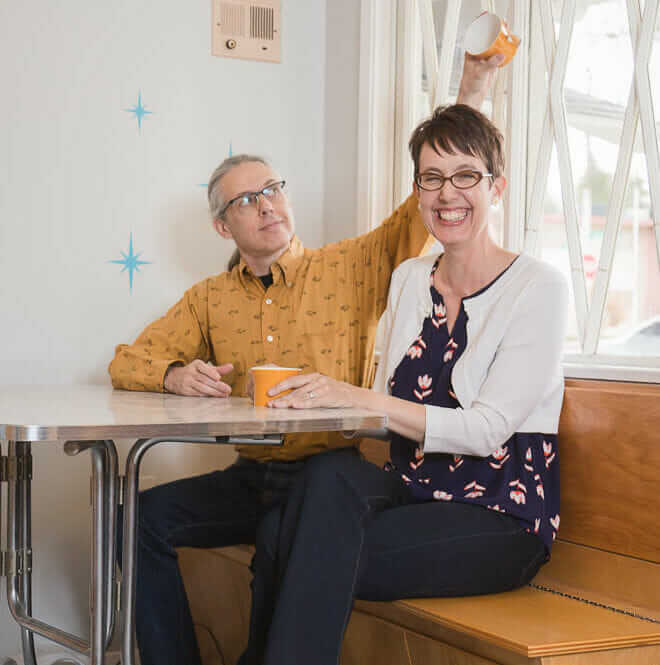 Mary and John built their house in 1983 and after 32 years of cooking in the same shades-of-brown kitchen — and inspired by a fabulous vintage Daystrom dinette from craigslist — they decided it was time for a light, bright retro transformation. And this story is another good example of how we all just love to do things The Hard Way: This project was six years in the making — time well spent in planning and $aving the money to fund the makeover — lots of it DIY, but some of it hired out to pros — step by step. I am happy to tell you the story of our groovy little kitchen, because it actually starts with Retro Renovation. About six years ago, I found a tulip table and chairs (Daystrom) on Craigslist. It needed some help, and I was googling refurbishing tulip table/chairs and found your blog! I have been hooked ever since. (Actually, we ended up paying a furniture guy here in Austin to do the work, and he did a great job.) Like many of us on this blog, over the years we have done some of the work ourselves or saved up to do the big things we couldn’t do on our own. 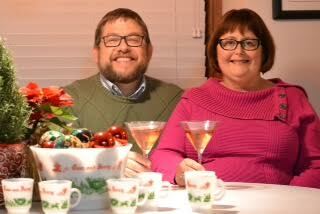 We are the original owners of the house and built it in 1983. The more I read your blog, the more inspired I was to get rid of the 80s stuff and renew the kitchen with a nod to retro style. After the tulip table redo, we paid to have hardwood floors installed to replace the 30-year-old 80s linoleum. We replaced the appliances as well. My husband John and I also refurbished a 1967 yellow princess phone — it rings and you can make calls, even dialing the rotary dial. John installed the vintage lights I found on Etsy/Ebay. 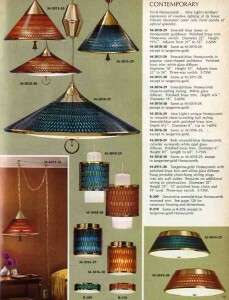 We are proudest of the NOS Moe tangerine honeycomb pendant light over the tulip table. I found the atomic sunburst clock for $6.99 at a local Goodwill here in Austin. I could barely contain my glee when I plugged it in and it started right up. It keeps better time than any other clock we have! 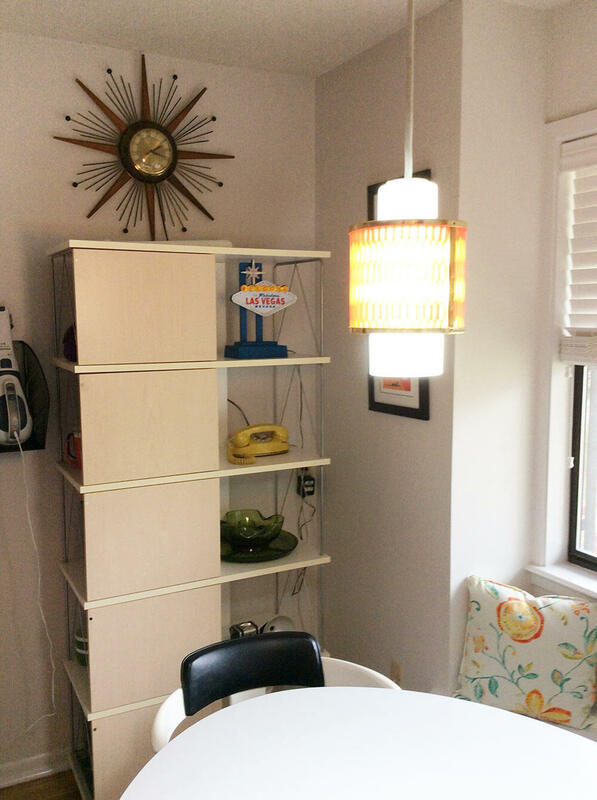 I read your blog daily to learn more about the retro decor. Your blog was an inspiration and a great research tool. 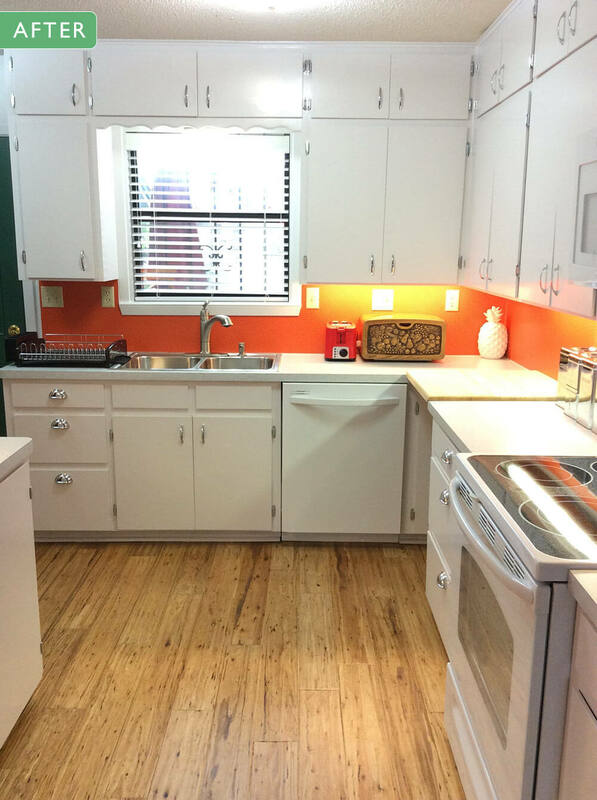 Time went on, and this year we were able to fund new countertops, paint the kitchen cabinets, and replace the hardware — all with a retro flair. I read everything on your blog about laminate countertops. 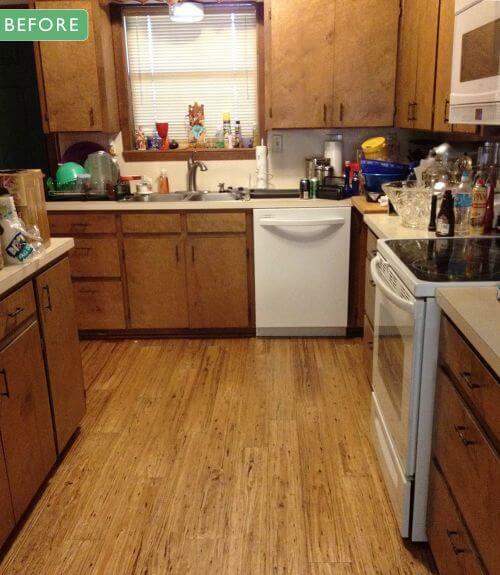 I already had 32-year-old Wilsonart laminate — almond, of course. The 80s. Check out the u*** before picture [edited; Pam says: Mary, I don’t think your almond was u*** or a bad choice — it was what was popular in the 1980s — I think you just got sick of it before it wore out and because of the lack of any real color anywhere else in your kitchen — totally understandable!] New floors but u*** almond laminate. I still liked laminate and wanted a fresher look. I ordered samples of retro patterns from Formica and Wilsonart. I read about the Brady Bunch orange countertops and even ordered a sample of Bittersweet from Pionite. 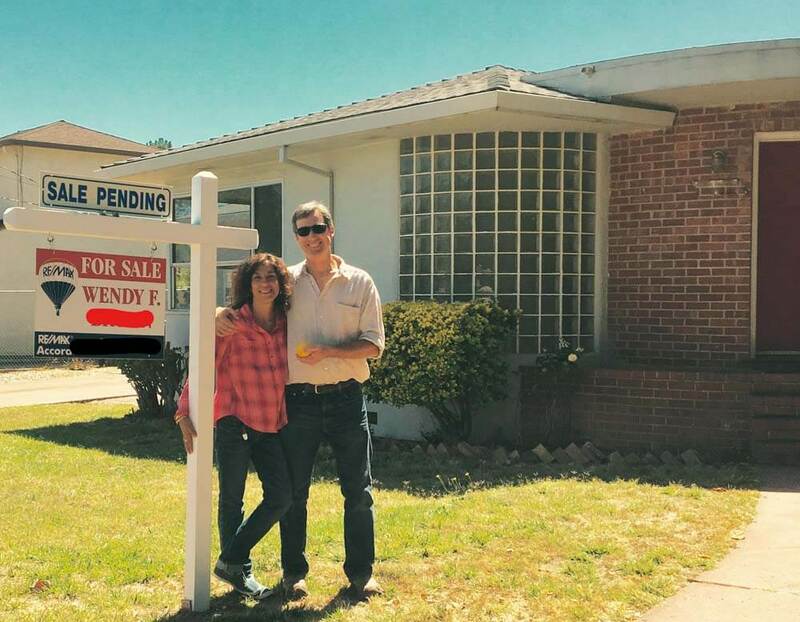 I knew where to look and what to look for because of Retro Renovation! See our list of 10 companies in the U.S. that make and sell laminate. I decided I wanted to paint the cabinets white with Amerock chrome hardware (found that on Retro Renovation too). John and I finally decided on white countertops with an orange backsplash. 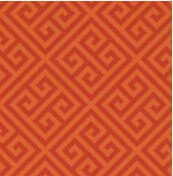 In the RR blog I saw White Ellipse from the Formica 100th Anniversary Collection (2013) and Greek Orange Key from the Jonathan Adler Formica collection (2015). Together they are perfect in my kitchen. 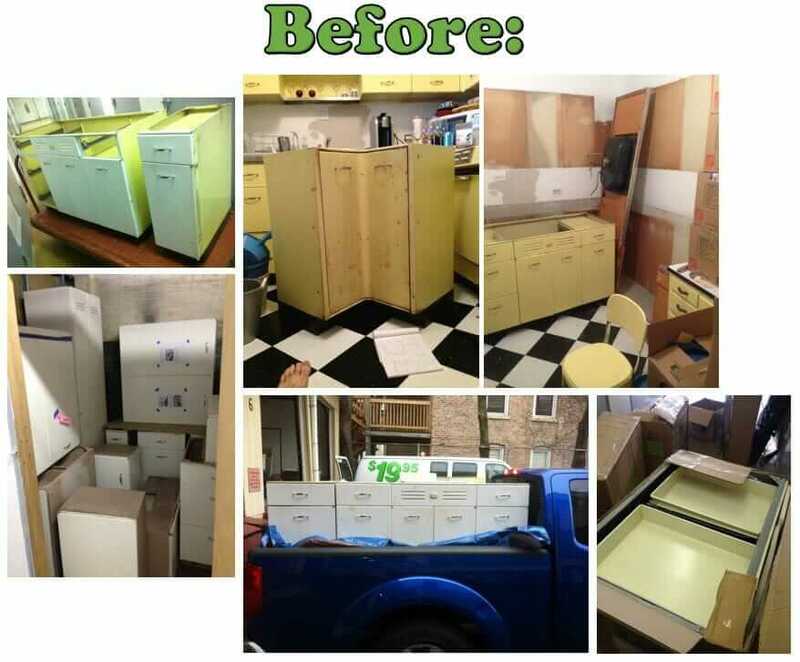 We paid to have the countertop installed and the cabinets painted. John installed the sink, faucet, and garbage disposal as well as installing the brushed nickel retro style fan. 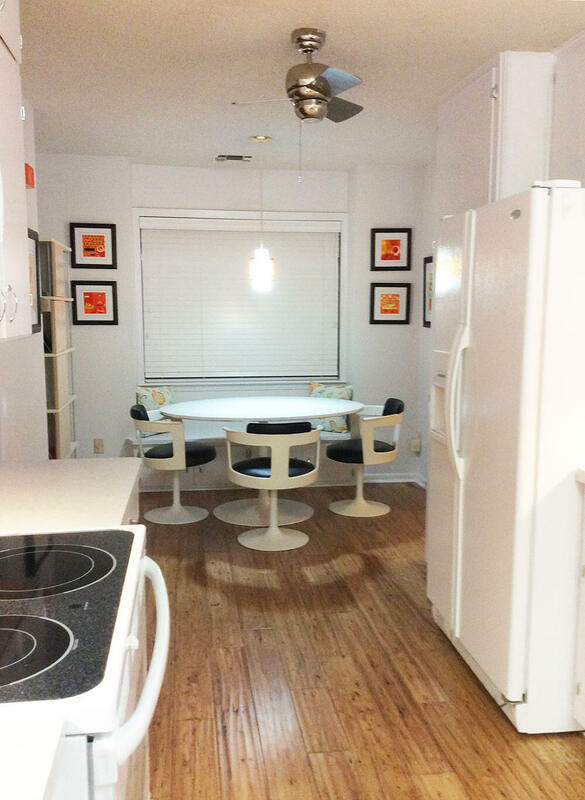 Now we have the retro kitchen of our dreams! Thank you, Pam and Kate, for inspiring the rest of us to love the house we’re in! Wow! That’s really smashing. Interesting experiment: do John & Mary intend to go through the house, room by room, to create a mid-century fantasy? That I’d like to see! That would be cool, but we have eclectic taste and eclectic furniture/decor. If you look up Pam and Kate’s 11 Retro Design Archetypes we would probably fit into Trash to Treasure. We have a real mix, but we like it. We like to repurpose and rehab things. It’s exciting to see old things come back to life. Right now we are rehabbing a 1972 RCA console stereo, but we are not purists. We gutted it to put in speakers/bluetooth. Shocking, we are painting it too. We’ll post a pic when we are done. Great renovation! 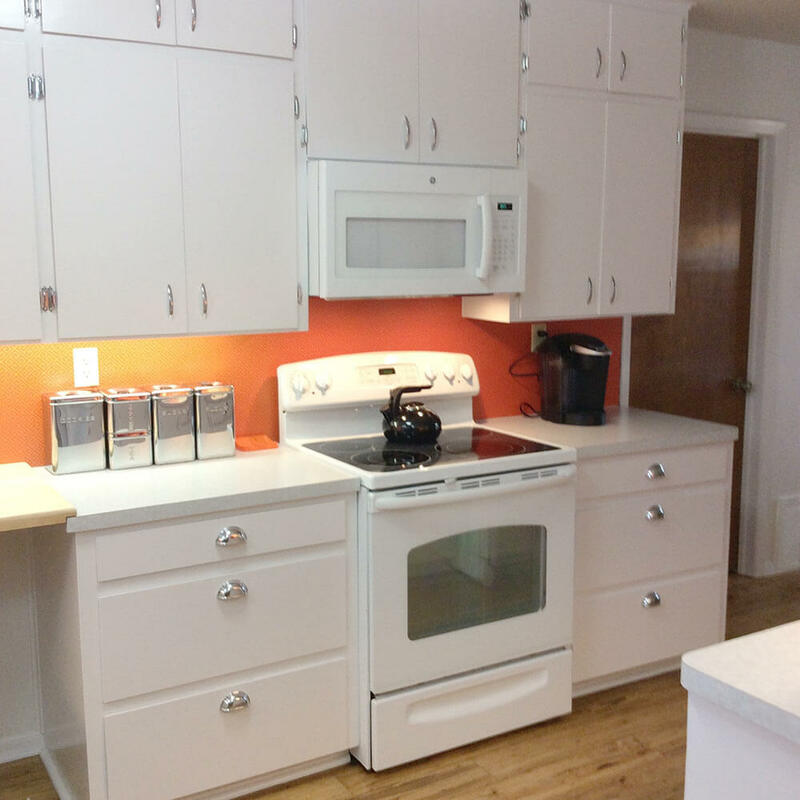 Painting the cabinets white transformed your kitchen into a light and bright space. And I love the the orange you used for your back splash. Using laminate for that is a great idea – so easy to keep clean. 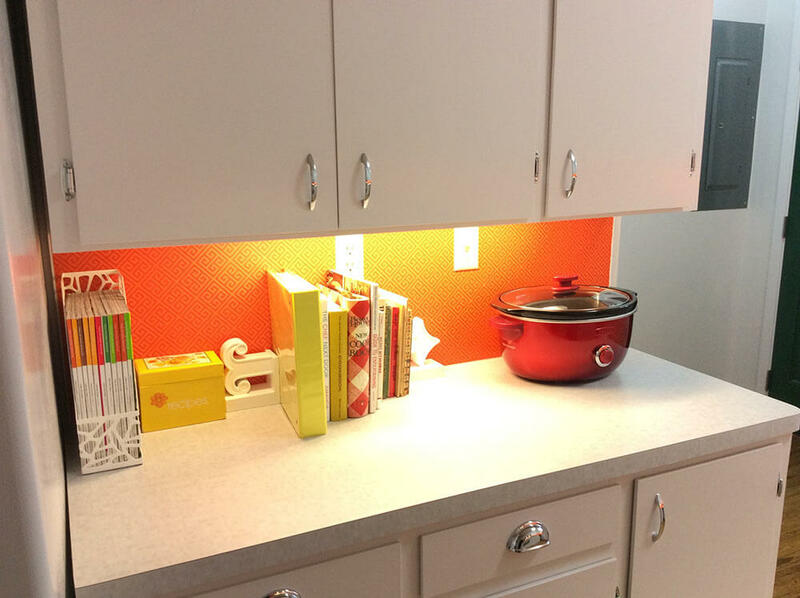 The under cabinet lighting is also a great touch. It gives it a warm glow which I bet looks nice at night too. I just found the same Daystrom set at a great price! It needs a little work – paint and upholstery. What did you do to yours? Thanks. I just saw your comment! All the chairs needed upholstery, the fiberglass had yellowed and needed painting, and the metal needed painting. Also, some of the chairs needed to be welded again! So, we spent $$$$ with a furniture guy here in Austin, TX who did a fabulous job. It looks brand new again which I don’t think I could have done by myself! It’s worth it. The set should last another 50 years!